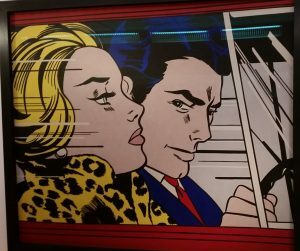 Artist Rooms: Roy Lichtenstein in Focus, Tate Liverpool, until 17th June 2018, freePeople who tell you the art world is pretentious have clearly never spent much time around music fans. Let me tell you about my 2002. Starting to explore the depth and breadth of music, I had just got Is This Is by The Strokes and rather liked it. At least, I liked it until people around me who knew better said that actually The Strokes were just ripping off The Velvet Underground and that This Is It therefore couldn’t be considered ‘good’. The Strokes were not just ‘ripping off’ The Velvets specifically. There’s a more complex history of New York punk & garage which may be said to start with them, but which other bands will have fed into between 1967 and 2001. Even if the sound wasn’t a Great Leap Forward, Is This It is still a good record. Why am I telling you about this? 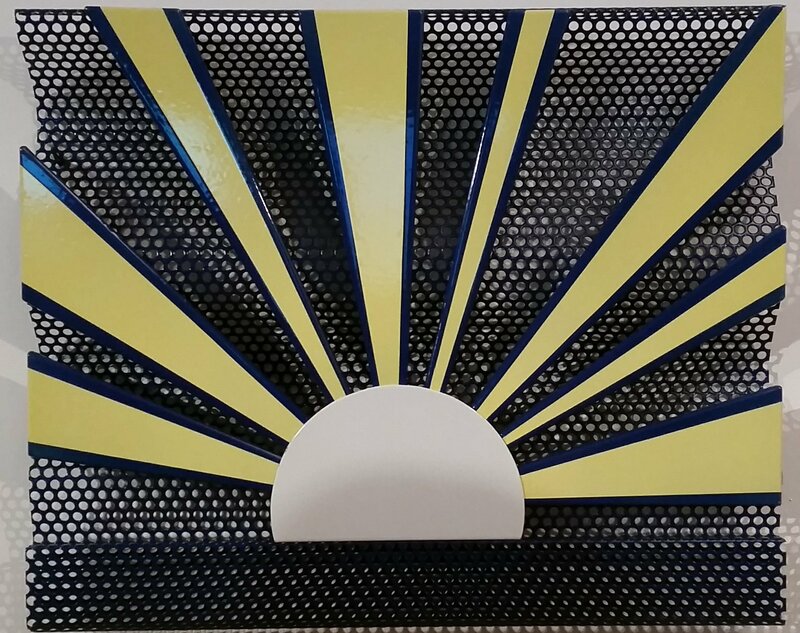 Because the current trend (at least on my Twitter) seems to be to make Roy Lichtenstein The Strokes of the art world. Critical focus is turning to the artists who he was undoubtedly inspired by – or, to put it less kindly, that he plagiarised. A comparison of Lichtenstein’s WHAAM (in the corner) with Irv Novick’s original. Image courtesy of David Barsalou. They may have a point that Lichtenstein owes a more than slight debt of gratitude to these artists*. But is it plagiarism, or is it extending a source? Isn’t borrowing from something obvious kind of what Pop Art does (looking at you, Warhol)? Isn’t taking a source the size of a Post-It Note and turning it into a big piece with serious impact showing a respect for the image? Yes, Lichtenstein was hugely influenced by these comic artists. He was also influenced by Cubism – a point that Tate make pretty obvious in this room by by tracing a clear path from an early still-life to the deconstructed faces across the room. But Picasso didn’t appear from nowhere either – African masks, Rousseau, Cezanne were his inspiration. And they were influenced by…you get the point. What’s more important than who your influences are is what you do with them. And remember: in terms of defining what could have the status of high art, the Pop Art movement did change the way things were done. So much for the “influences” point of my analogy. And to be honest, it’s not a question this exhibition is really concerned with. It focuses instead on my second point, which is whether Lichtenstein’s art stands up as good for itself. To which, in my opinion, the answer is a loud YES. Even if you know what an artist is about,you always get a better sense of their work when you see it for real. 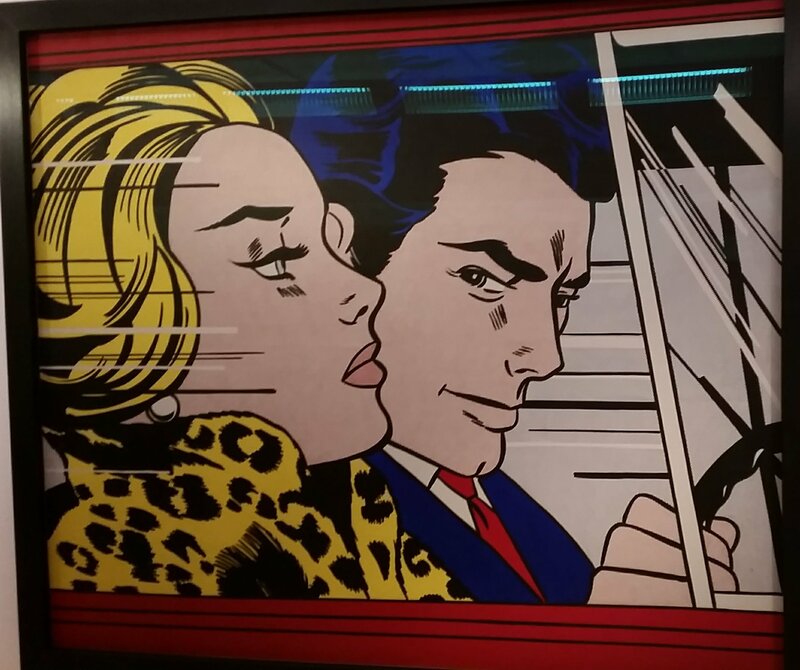 I’ve seen Lichtenstein’s before, and they always pack a punch. I think the things which make them work overall are the size and the surfaces. Lichtenstein doesn’t really *do* small – or at least he abandons it pretty quickly. Even when the works are of a somewhat regular size, the details are enlarged to make them POP. 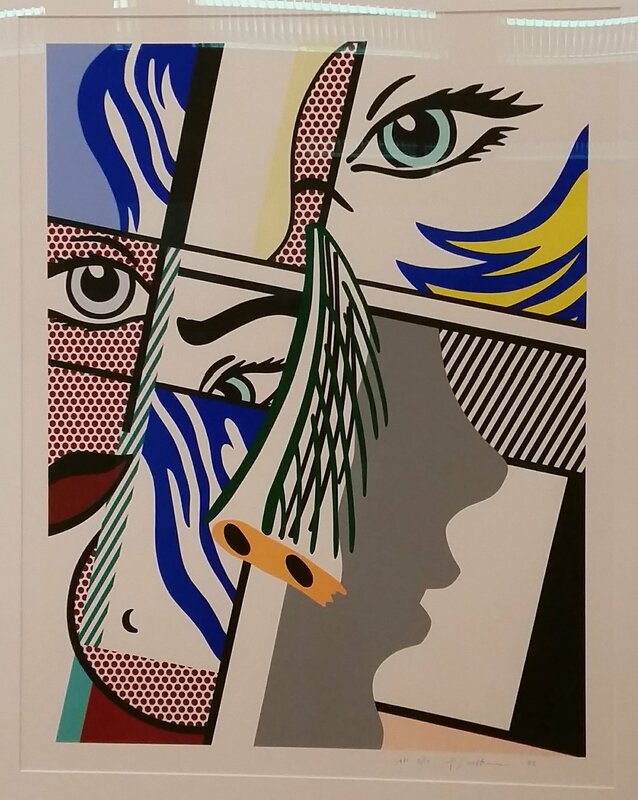 As to the surfaces, seeing them up close makes you understand what Lichtenstein is doing. I never realised for example that some of these works use a very shiny silver material, which breaks up the surface and makes you want to move around to view it in different ways. I haven’t even talked about the famous dots yet, which thanks to being meticulously screen-printed are almost slightly disarming in their perfection. People like to criticise Pop Art for being somehow too light, too easy. But even if you only admire the technical aspects of work, there’s enough skill here to impress any cynic. I always like finding out aspects of an artist’s work which I didn’t know much about, and the later lily-pond pieces (who’s going to say he’s ripping off Monet) are lovely. They take the same techniques as the rest of his oeuvre, but the result feels more mature and meditative (as you may expect from an artist in his seventies). There’s also his work in the less-familiar forms of film and sculpture. I liked them both on my visit, although on reflection the sculptures – which continue his playing with surface texture and viewer perception – are maybe a bit kitsch. But indulge me if I go back to my music comparison – I’m OK with a wobbly song on an album, if it’s good overall. And this show is very good. I was impressed by the breadth of his practice on display here, and enjoyed reflecting on the technical skill on display. But it never loses sight of the fact that Lichtenstein’s work is a lot of fun – and that’s what people will come here for. My mistake as a 15-year-old music fan was listening to the detractors, only looking backwards and neglecting the positive aspects of what the music of my own time had to offer. I’m glad I didn’t make the same mistake with Lichtenstein. *It’s well worth checking out Barsalou’s Flickr page for more comparisons (link also above). If that makes you doubt his validity, you can read a defence of WHAAM on the BBC website. This entry was posted in Current exhibitions, Exhibitions, Home and tagged art, Liverpool, pop art. Bookmark the permalink.